I have been missing in action and left my blog posting as at 1st September 2010. I was busy with Guru in town giving teachings, initiations and pujas. This is a busy week, tired but happy. Today I saw something from National Geographic about sea turtles and love to share it here. You may have missed this but again are you not awe by nature? When Buddha said we are not the only living beings on this Earth, he told the Truth. When we think that we human populated this Earth and we are counted in billions...may I remind you that if you check on all other living life forces around you, they can over run we humans in trillions and trillions. This are only those that we can see from the walking, crawling, flying and swimming...there are those that are invisible to naked eyes...bacteria, virus etc., not to mentioned those from another dimension. Therefore what is there to be so proud about being Human? Human is said to have higher wisdom and better merits to take this form but such merits need to be earned. Please do not forget merits expire when you use them. It is like a saving account, if you keep drawing and never putting back...you will go bankrupt one day. Therefore always remember to do good to increase blessings. I have side tracked. Coming back to sea turtles, whether adult or kid, we all love a tortoise or a turtle. In my days in Phuket, every year Songkran, I will buy a turtle and after blessing from the monks, released it to the sea. This is because I love this creatures and it is in line with my teachings - give life to others is like giving life to yourself. I also stayed at hotels around Maldives and Seychelles and these turtles will come up to the beaches to lay their eggs. People protected the eggs, wait for the little turtle to break shell and the cute little thing knows by instinct that it crawls towards to sea. However people keep them and let it grow bigger before releasing them so that the bigger sea animals do not eat them for food. Some marine people tagged the turtle and monitor its movement and no matter how far a turtle swim, if it is still alive, it will come back 'Home'. There was this turtle that came back home after three years and it is so heart warming. 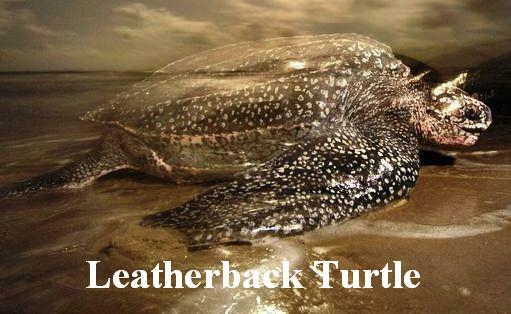 There are different types of sea turtles i.e leatherback sea turtles, green sea turtle, Hawksbill sea turtle and Kemp Ridley sea turtle. You can read about them in National Geographic. I have also seen giant tortoises and even when you sit on it, it will still move. They roam around freely and kept as house pet. Do you like one? Here is the facts from National Geographic...SEA TURTLES HAVE BEEN SWIMMING IN OUR OCEAN SINCE THE TIME OF DINOSAURS. To the Chinese, turtles or tortoises mean Longevity and good luck. So when someone wish you long life like a turtle or tortoise, do not get angry. It is good intention.